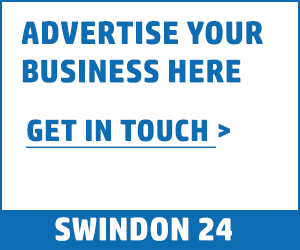 Swindon will have to get used to there being snow all year round after one of the town’s most exciting regeneration schemes was given the go ahead by councillors this evening (27 Nov). The £270m North Star Village development, which features one of the UK’s largest ski and snow centres including two indoor real-snow ski slopes, cleared the final planning hurdle when it was approved by Swindon Borough Council’s Planning Committee. This means that as well as the 75m and 170m ski slopes, the town will soon be able to boast a huge leisure complex complete with a 13-screen cinema containing the largest IMAX screen in Europe, a 19-lane bowling alley, 27,000 sq ft of trampolining as well as an array of restaurants, cafes and shops. The North Star project will be delivered by SevenCapital and demonstrates the Council’s success in working with the private sector. The scheme will create hundreds of jobs and SevenCapital anticipate the development will attract an annual footfall of 3.3 million, via a projected catchment area within two hours’ drive-time – reaching as far as Stoke-on-Trent, Swansea, Exeter, Brighton and Cambridge. SevenCapital has cemented an agreement with a major funder and secured 50 per cent pre-lets ahead of planning consent. Confirmed operators for the North Star Village include The Snow Centre, Empire Cinemas, Hollywood Bowl and top mountain sports retailer Ellis Brigham. 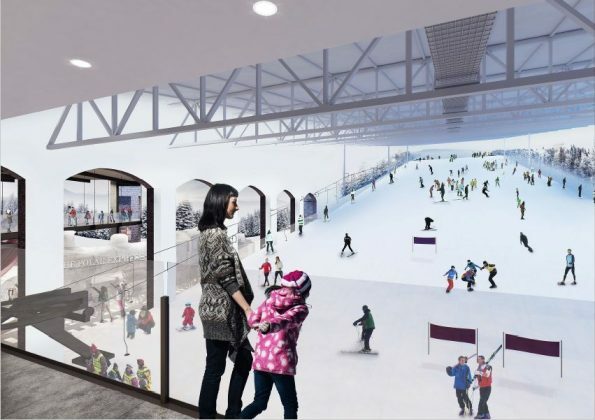 Councillor Dale Heenan, Swindon Borough Council’s Cabinet Member for the Town Centre, said: “This ski facility has been a vision for Swindon for over six years, but we’ve now passed the final gate and are closing in on the finish line. There has been a tremendous amount of work going on behind the scenes and we are now in a strong position to move forward. 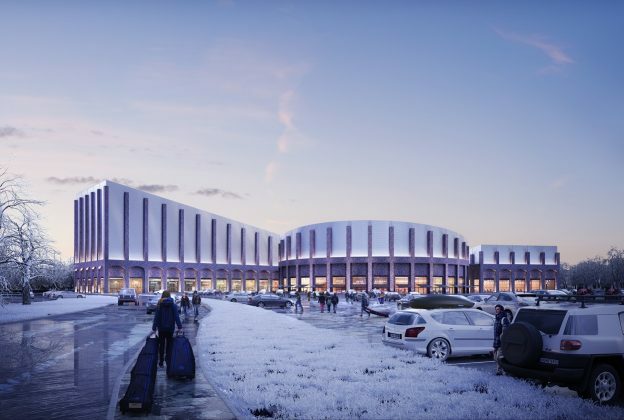 “Last week, SevenCapital announced it had secured the money needed to build the North Star leisure complex and the Planning Committee was the final hurdle. “This development will put Swindon firmly on the map of top leisure destinations and is a shining example of the ambition we have to make the town a great place to live, work and play. Improving the town’s infrastructure to support a growing economy is one of the Council’s top priorities, and North Star is a big game changer for the town. John Watkins, Director at SevenCapital, said: “We’re thrilled with the decision to grant full planning approval for the North Star Village. Since taking on the project in July 2017, the team has worked tirelessly to deliver on our promises to submit plans for an exciting regional leisure and retail destination that Swindon and the wider UK will significantly benefit from.